The client wanted to remodel an existing dark house to create a harmonious space tailored to their needs on a budget and in a tight timeframe. They especially wanted it to be light-filled, eco-friendly and welcoming. Our open dialogue with the client was critical to the exceptional beauty of the end product. The client understood how the budget was going to be used at every step of the process, and our challenging of the brief averted possible wrong turns. 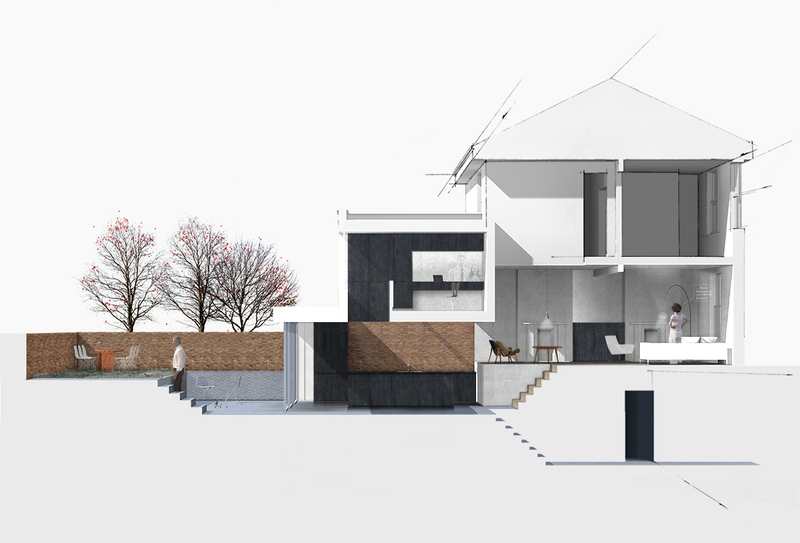 Our design concentrated on the rear ground and first floors of the house. A full-width sliding door dissolves the boundary between kitchen and garden. The back of the house connects in an uninterrupted volume to the front of the house on the ground floor. Daylight reaches this space through a double-height lightwell, a device that creates interest at first floor level with a balconied studio suspended over the kitchen. Dark timber elements contrast with the ceiling and warm south light in unexpectedly delightful ways. The play of dark and light fascinates, opening up the comparatively small space and making it feel generous and welcoming. Creating tall spaces in small residential properties can raise the living space above the usual. Ground floor living space is normally imprisoned below bedrooms, so opening up light-filled double-height spaces can add enormously to the pleasures of inhabitation. The play of dark and white materials brought together in harsh light breaks apart the cave-like feel of this small space, the exploded and reconfigured series of parts creating a new scale of room to live in. 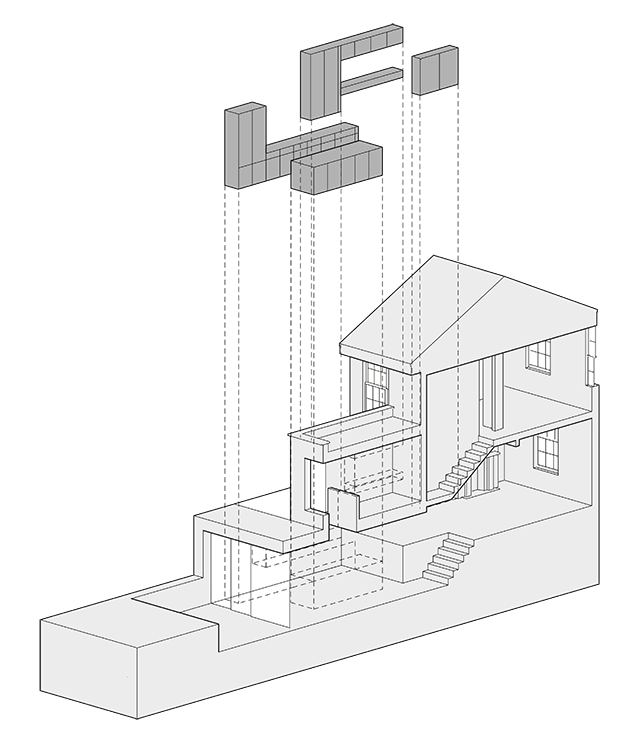 Capablanca house carves a small double-height volume to connect the kitchen to a studio above. Dark timber elements are placed throughout the found space, breaking the visual dominance of the ceiling and welcoming south light in a surprising and delightful way. The double-height lightwell allows sunlight in, creating geometric shadow patterns across the walls. A mix of white and dark, tobacco-stained sawn oak creates a unique chequerboard look. Paying homage to this, we've named the house Capablanca, a variant of chess that was invented in the 1920s.